What if you could directly reprogram cells to develop into whatever you wished? What if you could take an undifferentiated, incipient cell, full of the unrealized potential to become any one of the many specialized cells in the human body, and nudge it into becoming ocular tissue, or neural cells, even a new heart to replace an old or damaged one? This is the promise afforded by Mogrify, the result of the application of computational and mathematical science to the problems of medicine and biology. It was developed by an international collaboration of researchers from the Duke-NUS Medical School in Singapore, the University of Bristol in the United Kingdom, Monash University in Australia, and RIKEN in Japan. The new research was published online in the journal Nature Genetics. In a EurekAlert! public release, Dr. Rackham, lead author of the paper, described Mogrify as analogous to “a ‘world atlas’ for the cell [that] allows us to map out new territories in cell conversions in humans.” In essence, Mogrify gives scientists the ability to predict how a pluripotent stem cell—an undifferentiated cell that can be used to treat a wide variety of medical conditions and disorders—may be created from any other cell type. The first artificial human pluripotent stem cells were teased into life by Japanese researcher Shinya Yamanaka in 2007, but his was a laborious and painstaking process of trial and error that does not lend itself to easy repetition and mass production. Mogrify does away with all that time-consuming business, replacing difficult real-world experimentation with a numerical algorithm; better still, since its developers have made the program freely available to other researchers online, it promises to become more refined and accurate over time. And it has already yielded results: In two trials, Mogrify successfully predicted the correct human cell conversion, and did so on the first attempt. 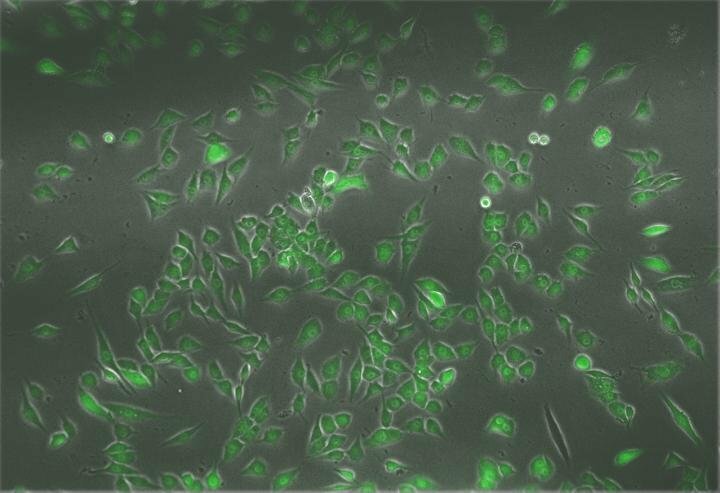 Image depicting the outcome of turning fibroblasts into keratinocytes with the Mogrify algorithm. Credit: Nature Genetics and Rackham et al. The future medical implications of this novel breakthrough in cellular reprogramming are not hard to imagine. A bewildering range of diseases and disorders could be relegated to the dustbin of medical history—from arthritis to macular degeneration, from lost limbs to cancer itself. Entire organs could be regrown from one’s own cells, and even the specter of death itself could be kept at bay for just a little longer, by improving the quality and length of human lives. Best of all, the advent of Mogrify may bring such wonders within closer reach—no longer the fantastic promise of the distant future, they may become reality within a very few years.